Our family-owned business began more than 50 years ago when our grandfather was in the rebuilding business. Eventually, our father took over the business and specialized in rebuilding engines. 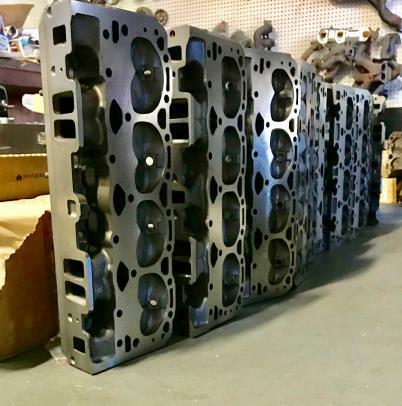 When we came into the business in 1988, we wanted to specialize in cylinder heads because this was our background and specialty. So we changed the name to Cylinder Head Depot and went full force into the rebuilding of cylinder heads. In the early '90s we invested in welding equipment, pressure testers, and schooling on how to weld and do crack repair enhancement. Here we are three decades later doing what we do best. We are always striving to give you -- the customer -- a better product. Thank you for choosing us for your cylinder head needs!